BMW Wants A Mercedes-AMG Project One Fighter After All? The M team is ready to make it happen. Last month at Frankfurt, to much fanfare. The folks over at BMW obviously took notice, but even during our conversation with BMW M boss Frank van Meel there didn’t appear to be any immediate intention to build a hypercar of its own. We found that a bit odd, considering the Germans love nothing more than one-upping each other. 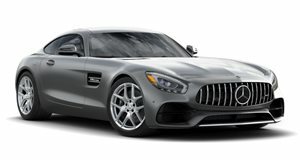 According to a new report from , however, there are BMW M employees anxious to tackle AMG’s creation. BMW M vice president Dirck Hacker told the publication that "We would like to do a standalone car and we could do it – but today there is no requirement from the market to do it. As a company, we are more focused on future mobility and digitization than building a hypercar, to be honest, but if we came to the decision to do a super sports, then we could do that." Doesn’t sound so good, right? Yes, but there’s another factor to consider: Le Mans. BMW has been quietly evaluating the possibility of returning to the LMP1 category at the world’s most prestigious endurance race in the near future. At the same time, it’s also considering an entry into Formula E.
Given that small boutique hypercar companies, specifically Rimac and its Concept_One, have cracked the code on how to do an extreme all-electric hypercar, BMW could wind up with an extreme EV of its own. After all, the i8 only has a few years left until it’s retired, and BMW has already pledged to have 12 fully electric cars on sale by 2025. Put all of those facts together and the writing is, more or less, on the wall. Mr. van Meel also left open the possibility for the M and i divisions to combine forces at some point. Taking everything into account here, don’t be surprised to learn one day soon that BMW’s potential Project One fighter will be an all-electric hypercar.